Next to the Grand Street Bridge is the Modesto and Empire Traction (MET) Company Bridge across Dry Creek. At the beginning of the 20th century only the Southern Pacific (SP) Railroad provided service into Modesto. The MET Company built five miles of track between Modesto and Empire (serviced by the Santa Fe Railroad) in order to compete with the SPRR in Modesto. Initially they provided passenger service but they gradually changed into a freight company. Today they own eight 2000Hp Railpower Genset locomotives along with silos and warehouses that load agricultural products on and off railroad cars. 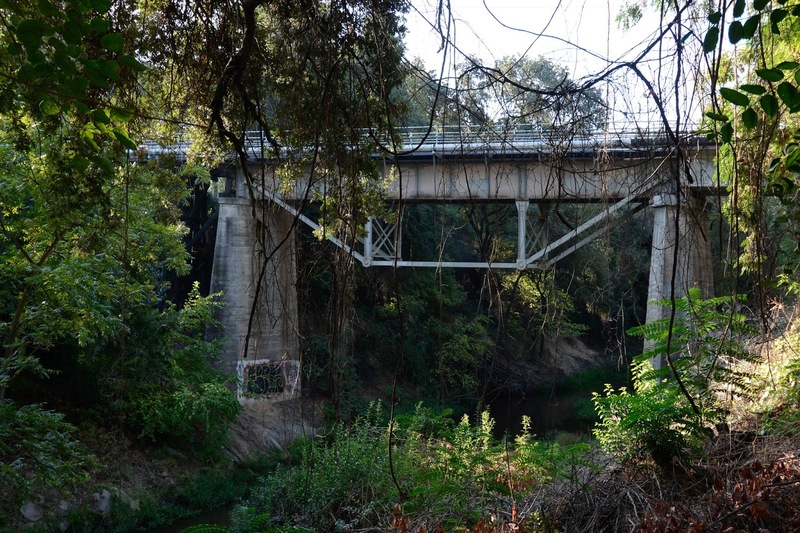 The Dry Creek Bridge has a plate girder center span with a pinned truss underneath for extra support. The MET Company is over 100 years old and so the bridge must be about the same age. 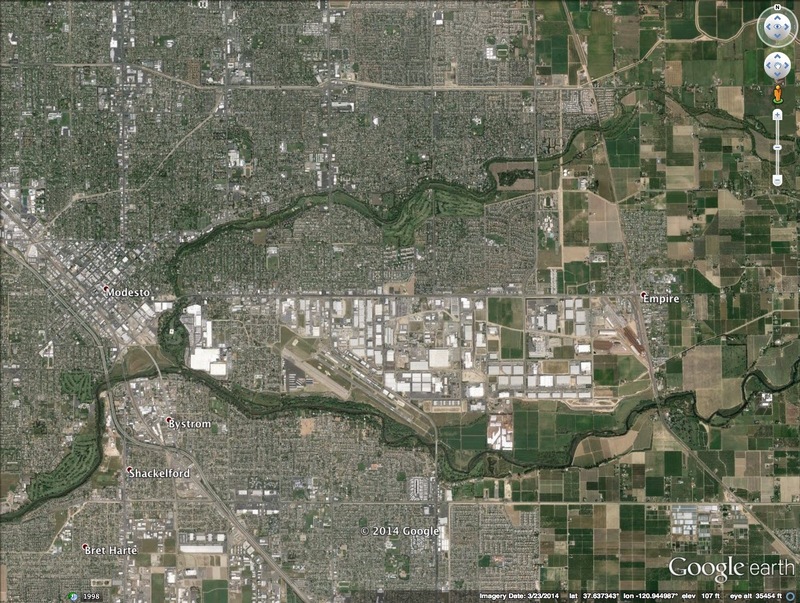 In the Google earth photo below we can see the cities of Modesto and Empire. The bridge connects the industrial park on the east side of Dry Creek to a granary on the west side of the creek. Stanislaus County California Bridges: Modesto to Empire Traction Company Bridge across Dry Creek by Mark Yashinsky is licensed under a Creative Commons Attribution-NonCommercial-NoDerivatives 4.0 International License.